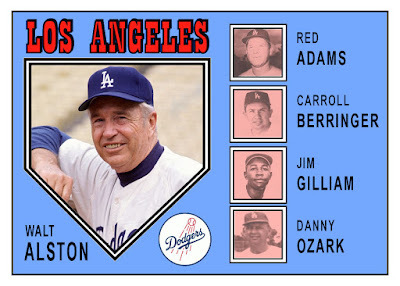 The manager cards are a bit of a preview of what Topps did in 1973 and 1974. I also chose a couple of Hall of Famers to fill these cards. 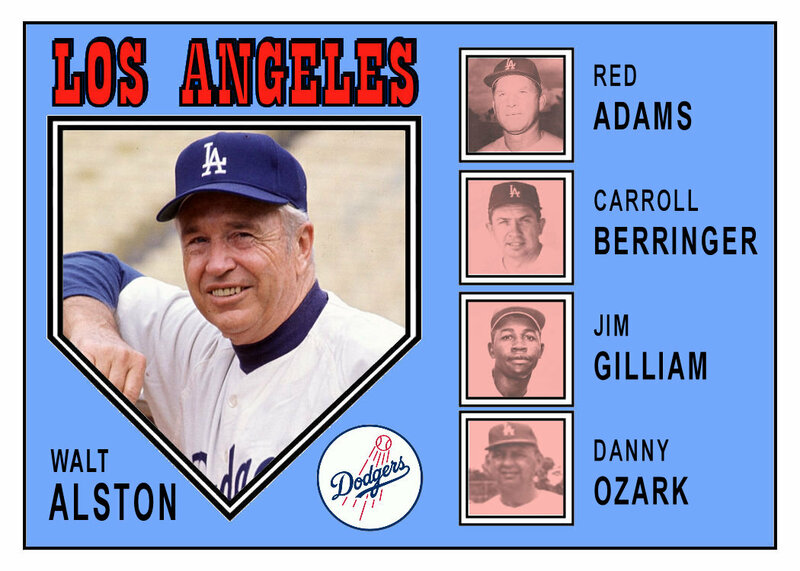 Walt Alston was the Dodgers manager from 1954-1976. He won 7 Pennants and 4 World Series titles. He was inducted as a manager in 1983. Bob Lemon was inducted into the Hall as a player in 1976. 1971 was his first full season as manager. 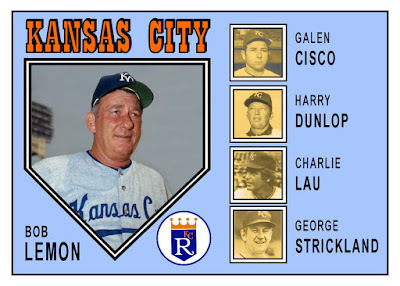 He took the reigns in KC from Charlie Metro midway through the 1970 campaign. He would eventually get a World Series title as manager with the Yankees in 1978. 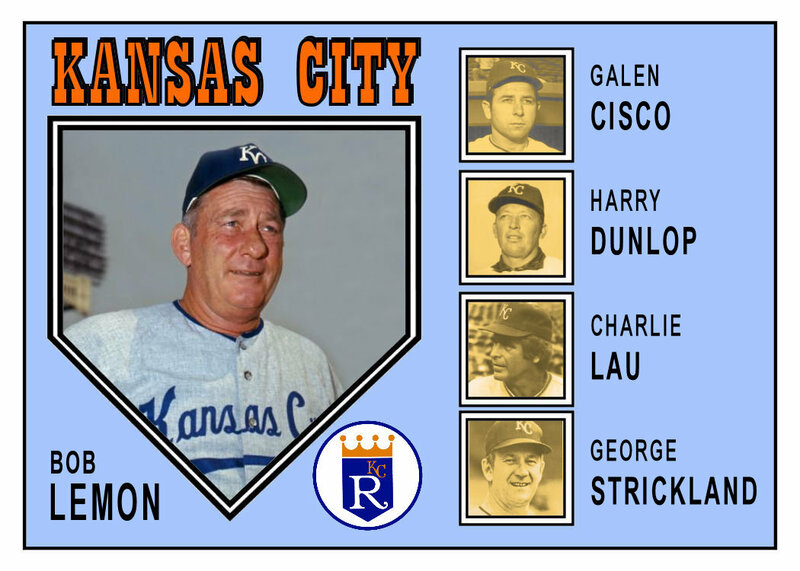 On the team cards, I tried to incorporate elements of the base cards. 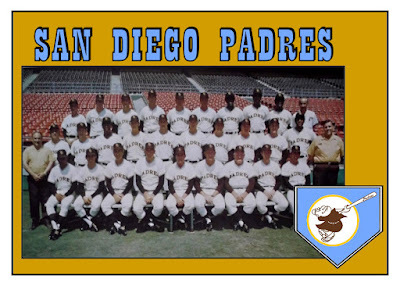 I shrunk the home plate to hold the team logo instead of the photo. 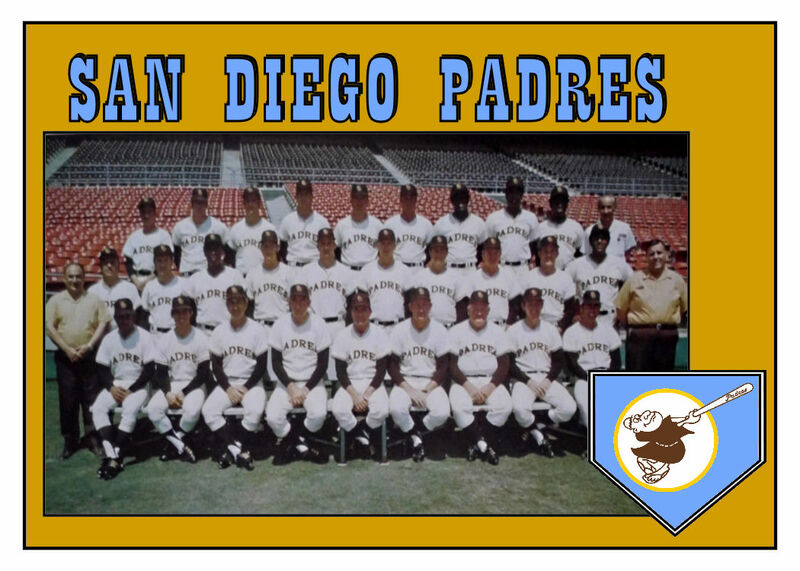 The Padres and Brewers were both part of the 1969 expansion. 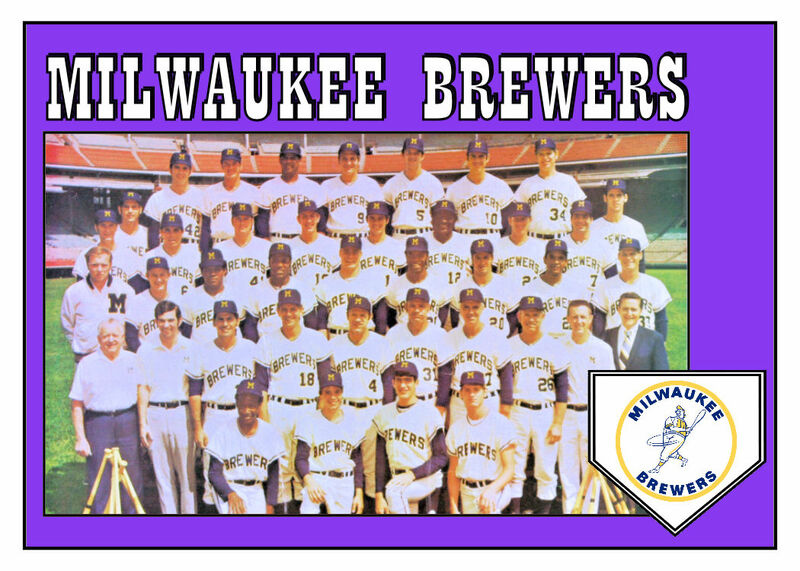 The Brewers, of course, began in Seattle in 1969. 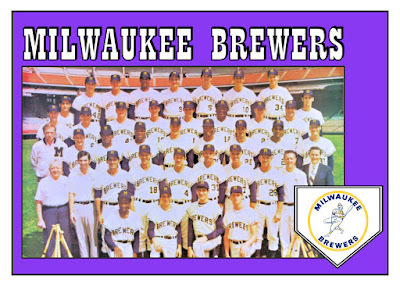 Back then, the Brewers were an American League team. Both these teams had very similar logos. The giants traded Ron Hunt to the Expos for a 28-year-old rookie utility man, Dave McDonald. 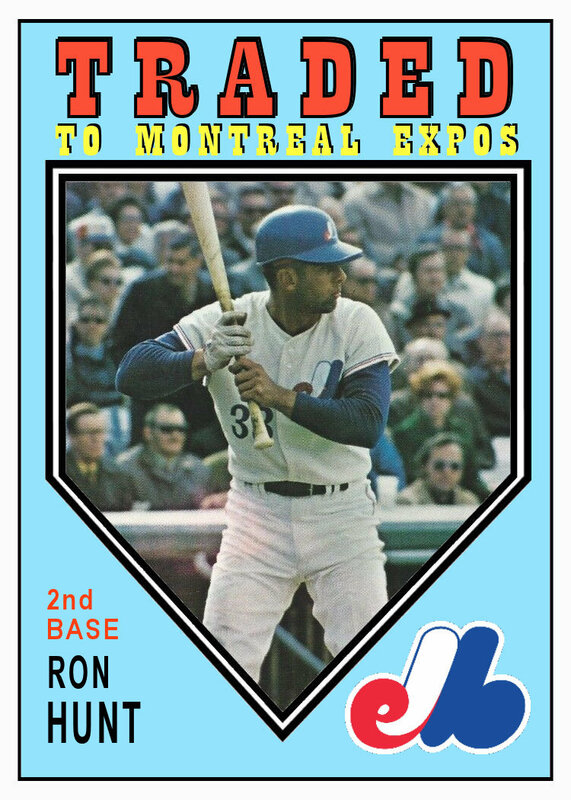 Before the start of the 1971 season the Expos bought McDonald back from the Giants. Ron Hunt was a player who would take one for the team. A ball magnet, he led the league in hit-by-pitches from 1968 to 1974. In 1971 he was beaned a career high 50 times. 1971 marked Flood's return to baseball after sitting out the 1970 season. In 1969 the Cardinals dealt him to the Phillies as part of a multi-player trade. Flood famously sued the MLB and eventually led to free agency. But in 1971 the suit was still ongoing. The Phillies traded him to Washington. Unfortunately, he only played 13 games for Ted William's Senators. 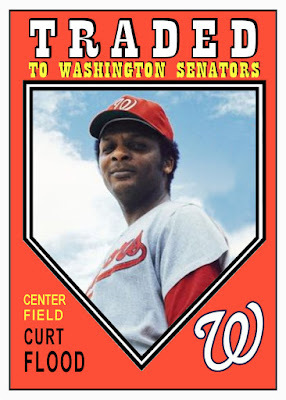 He hit a meager .200 and retired by the end of April 1971. Great looking cards. You could say Curt Flood took one for the team as well by leading the way for free agency and not necessarily reaping the rewards of it. When Danny Ozark became the Phillies' manager in 1973, he brought Carroll Berringer along as his bullpen coach.